I usually don’t use the almond butter because it is too unusual for people. In the picture it was just carrots, parsnips and onions. The trick is not to add too much water. Enjoy! What’s wrong with tomato soup? I should post a recipe. I used to make it from scratch all the time. You know I am absolutely crazy. We are talking carrots and I am thinking about tomato soup. I can’t stop laughing at my faulty brain. Please forgive my senior moment. I will share this recipe with my wife. It looks so good. She is not a soup person, but I love them. We have the same problem. I love soup and my husband does not. I call it the yin yang theory of marriage. Everything in balance. Love the name of your theory. My mother has another theory on marriage. She calls it “the mutual meshugas theory.” This loosely translates as: people marry people whose craziness match each other’s. My mother is very funny! Yeah, it’s true. Couples are like pieces of a puzzle that you put together. 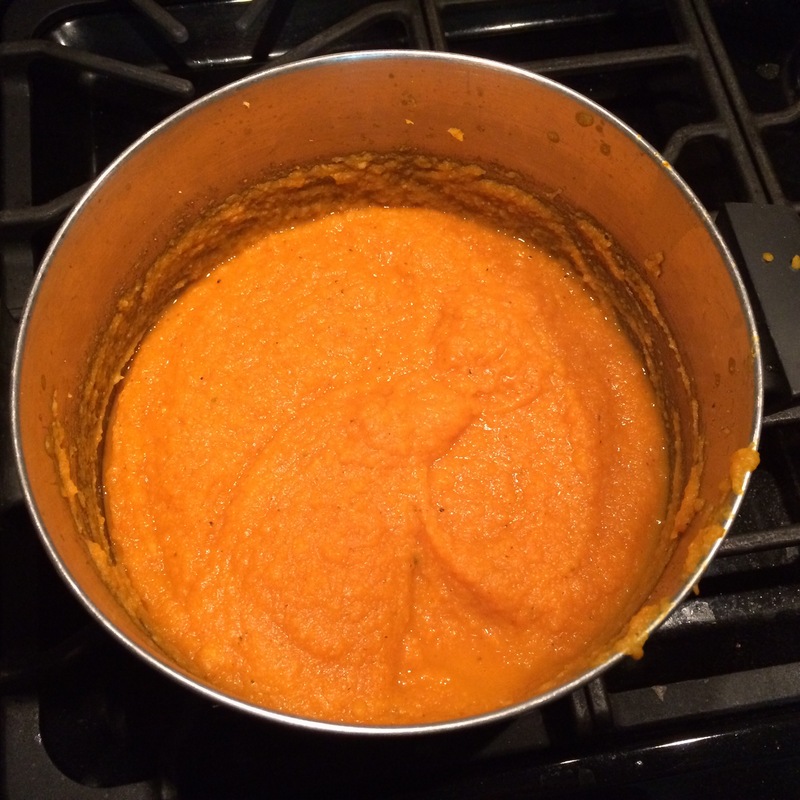 I made a somewhat similar soup today–squash soup. It’s getting to be soup season. Yes! It is kind funny. Great minds think alike? I would never have thought of adding almond butter to soup – a whole new world opens up before me! With the fresh ginger, it gives a certain richness. It is a little unusual, but it works!